Q: "Are there other owls around town?" That owl on the top of the Lowndes County Courthouse: where did it come from? 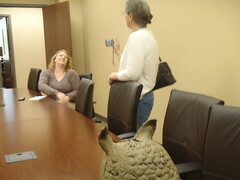 As the owl watched, Gretchen Quarterman asked County Clerk Paige Dukes. Q: "So Paige, why is the owl up there?" A: "The owl is up there to deter any of the pigeons in the area from flying into the courthouse." How much does the owl weigh? 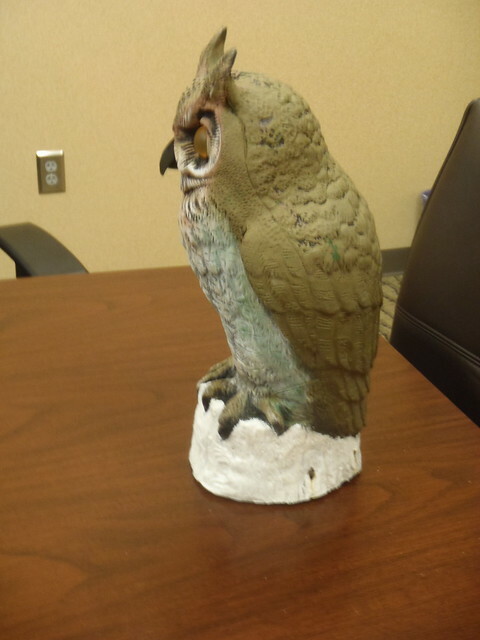 One of LAKE's intrepid investigative teams managed to get an appointment to visit the Lowndes County Courthouse Owl. 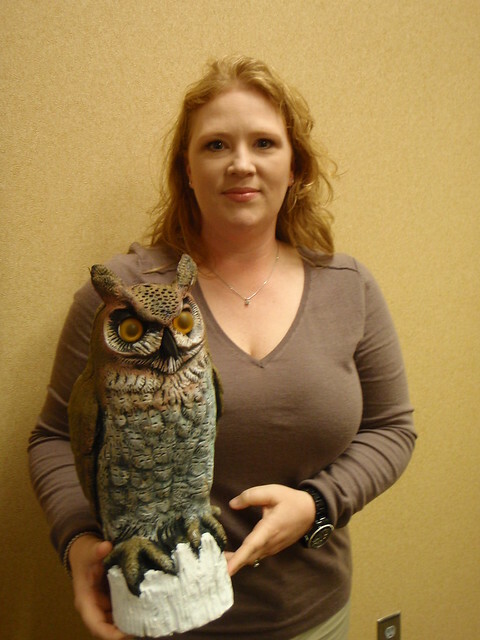 John S. Quarterman answers the question: how much does the owl weigh? Here's the video. Visiting the Lowndes County Courthouse Owl, Lowndes County, Georgia, 14 April 2011. 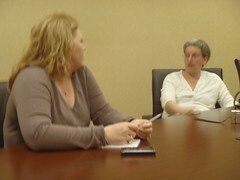 Video by Gretchen Quarterman for LAKE, the Lowndes Area Knowledge Exchange.